Japan, Land of the Rising Sun, is also the country with highest proportion of citizens in their sunset years. Notwithstanding warnings of population decline and a shrinking labor force, the ageing population, a high quality of life, the highest life expectancy in the world and mandatory health insurance help make it the second largest individual pharma market in the world. Japan accounts for just under 10% of the global pharma market. In fact, Japan medical device business is on the list of markets that companies seek access to in their first round of marketing approvals. Despite all this, doing business in Japan, particularly in pharma, is seen as challenging for many and downright daunting for the uninitiated. As with all cultures and experiences around the world, there is no one way to define Japan, its people, their approach to business or the expected etiquette. However, based on the interactions of RegDesk’s team with individual experts and large multinationals, these guidelines provide you the edge you need to close that deal. In general, it is better to err on the side of conservatism; it is a traditional and hierarchical society. The expected dress code is formal and modest, you should not stand out too much (avoid excessive jewelry and bright colors). Men should avoid the combination of a white shirt, black tie and black suit since this is considered funeral attire. One of the first perceived barriers to business is language, when in fact many experienced professionals and senior managers speak fluent English. Working with large companies and distributors that have experience with foreign companies will almost certainly eliminate the language barrier. Smaller firms on the other hand likely will engage an interpreter to facilitate the meeting. Irrespective of the language being used in the meeting, it is important to remember that your potential clients/partners are Japanese and will not make business decision in the same manner as your American or European counterparts. Once you enter the conference room, your counterparts will introduce themselves and bow, then one of the most important actions you will partake in is the exchange of the business cards. The cards are revered in Japan medical device business and it is very important to make a good first impression with this exercise. When receiving the card, use both hands, take a second to read the card before placing it in a business card holder. Do not place it in your wallet or pocket. It is also important to not write on, bend or in any way damage the card as this is considered disrespectful. In a similar way, when you hand your own card (there is no good reason not to have one), use both hands and face it towards the receiver (if it has a Japanese side, present that side), wait for them to read and it place it away. If there are multiple people in the room, remember to distribute the cards in order of seniority (usually determined by age) by walking up to each person and not passing around the cards or laying them on a table. Over the course of the actual meeting or presentation, it is important to remember that the Japanese value their privacy and engaging in personal banter or trying to establish a relationship using common personal interests is not appropriate. Instead, talk about your company and ask about theirs. It is also important to address the senior most (oldest) person in the room. The Japanese culture emphasizes politeness, you can be assured that you will be given their undivided attention and will receive many questions while they will take notes. However, this does not imply you will close the deal. As a risk averse society that emphasizes consensus in decisions, multiple meetings are required to achieve your business goal. Pushing deadlines, hard selling and rushing through should be avoided at all costs. Use gentler approaches and try to build on common ground. In keeping with the theme of politeness, your hosts may offer to take you to dinner. In such settings, it is important to remember that the same rules of etiquette apply here as the meeting: Maintain the same boundaries of privacy and respect seniority, wait for the hosts to offer you a specific seat at the table and follow the table manners that come along with using chopsticks. It is quite common to exchange gifts in a business setting. They are not considered bribes or unethical. Like the business card exchange, gift giving is more about the ceremony than the actual gift itself. The wrapped gift is best placed in a shopping bag to avoid hints about what it maybe and hide the ostentatious nature of the wrapping. Gifts are best given at the end of a visit and must be given with both hands and to all who are present. When receiving a gift, politely refuse once or twice before accepting. Be sure to avoid lilies, lotus blossoms, white flowers, red Christmas cards and potted plants as these are all associated with funerals or sickness. Also, gifting fours or nines of anything is considered unlucky. It may all seem daunting at first, but like any other culture, people grow more comfortable over time and your relationship should be off to a good start if you follow these guidelines. RegDesk’s expertise can help you enter this large and lucrative market with the help of our extensive network of Japanese experts. 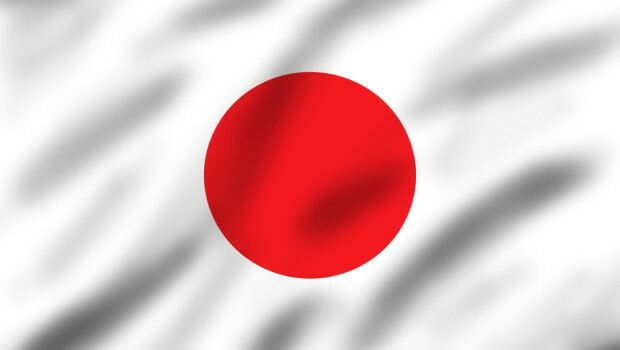 Visit us at www.regdesk.co, email us at desk@regdesk.co or call us at +1-267-607-3375 for market insights in Japan.